If you’re moving into the private community of Three Arch Bay in Laguna Beach, you deserve a relocation that’s just as luxurious and high-end as your new home! With the help of Coast Valley Moving & Storage, you can settle into your beachfront residence with minimal stress, expense, and hassle. With over 40 years of experience, our Laguna Beach movers have the skill and resources you can rely on—no matter where you’re coming from. Whether you’re making a long-distance move from the East Coast or a local move from Mission Viejo to this nearby Laguna Beach community, Coast Valley is the Three Arch Bay moving company you can trust. Since 1972, Coast Valley has been the moving company of choice for residents across Laguna Beach and the surrounding areas. Our highly skilled Three Arch Bay movers, packers, and drivers treat every project with meticulous attention and utmost respect—a customer-first approach that’s earned us ProMover designation from the American Moving and Storage Association and an A+ rating from the Better Business Bureau. 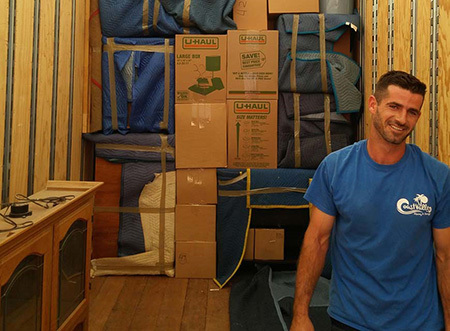 Interstate Movers: With the help of a personal move coordinator, our Three Arch Bay movers can efficiently move you between any two states in the country. Corporate Relocations: Moving for work? Ask your employer to make the transition easier by choosing Coast Valley’s expert team. Packing Services: Our full-service moving packages include protective packing and custom crating for your fragile, heavy, or bulky items. Storage: Our secure, climate-controlled facilities are perfect for furniture, antiques, décor, and more! Are you ready to learn more about our reliable services and professional Three Arch Bay movers? Then contact Coast Valley Moving & Storage now for a free consultation and moving cost estimate. To get started, call us or fill out our online form now!